Chorus – Governments version of decent work. Its a big problem – contractors are squeezed to squeeze workers, training is often minimal as smaller companies can’t manage the responsibility, health and safety obligations are confused, and workers can’t plan or budget. And in our tech industry…..
That’s hardly the ‘tech’ industry. That’s companies like downers, dews etc laying cable. The tech industry has always been like this, and the techies love it. Why? Big pay. and what’s more, a lot of my friends are going contracting next year to earn more. This is from fixed, full time positions. What do you mean starts off well? These guys have been in the industry for years. Contracting has been a part of the industry since time began. Contracting doesn’t work well everywhere, but tech is a poor example. Contracting has been a part of the industry since time began. Laying cable, fixing faults and installing new lines is a full time job. It never stops. That being true, why would you use contractors which cost more? Contractors don’t cost more. There are no training costs, no human resources department and employee administration costs, you can claim back gst from a contractor’s invoice, no sick leaave costs, no 4 weeks annual leave costs, no kiwisaver costs, no redundancy package, no paying them for public holidays, no maternity leave , no wage or salary reviews, no performance reviews, etc. You can end their contract within a day if you wish to, without needing a reason. In times of less work you can cut contracting staff no probs then rehire them when needed and so on. Basically, you’re just purchasing a service from another company which is much easier, cheaper and less time consuming. With companies like telecom 15 or 20 years ago, they had real problems in that contractors are supposed to be used to fill a short term staffing gap or for their skills needed on a particular project, whereas telecom’s IT provider, Telecom systems, had contractors who had been there for years and had so much knowledge of particular systems that they couldn’t be let go. The theory goes that since your position is insecure then as a contractor you can demand higher pay, however working for the same company in the same position for year after year after year is hardly insecure. There are no training costs, no human resources department and employee administration costs, you can claim back gst from a contractor’s invoice, no sick leaave costs, no 4 weeks annual leave costs, no kiwisaver costs, no redundancy package, no paying them for public holidays, no maternity leave , no wage or salary reviews, no performance reviews, etc. All those things still need to be covered. Of course, it’s now covered by people taking out student loans but those loans still need to be paid for through the amount the people get paid so that means that those people need to be paid more. You can end their contract within a day if you wish to, without needing a reason. And you need to cover that as well which means that the contractor needs to be paid more the extra down time that they have courtesy of not having permanent work. If the contractor is costing the business less then those added costs are being picked up elsewhere in the economy and probably by government. How much is WfF and student loans costing the government? You can’t get anything for less than it costs but can a private business can turn the cost into an externality that society picks up the cost of while the business pockets all the profit. So, you say this is hardly the tech industry, and immediately state that it is the tech industry. Please construct an argument that is at least internally consistant. Then we at least have a starting point. At the moment you’re all over the place. I mean it’s all roses when you move into a contracting job, but over time you get squeezed more and more until you discover that you don’t actually enjoy your job any more and the money doesn’t make up for it. So is it the tech industry, or not? Your comment is confusing. The two are being confused, on purpose I think. lol ; The contracting company (laying fibre-ducting) I drove trucks and dug ditches etc for had Technical in their company name: the most technical bit of kit was a location finder for pipes and cables. I believe the confusion is yours. That you first seek to discount the premise of Helen Kelly’s post by arguing that Chorus is hardly part of the tech industry. This leads to the logical conclustion that you are arguing in bad faith; you argue solely to score points and have no interest in the actual subject being debated. 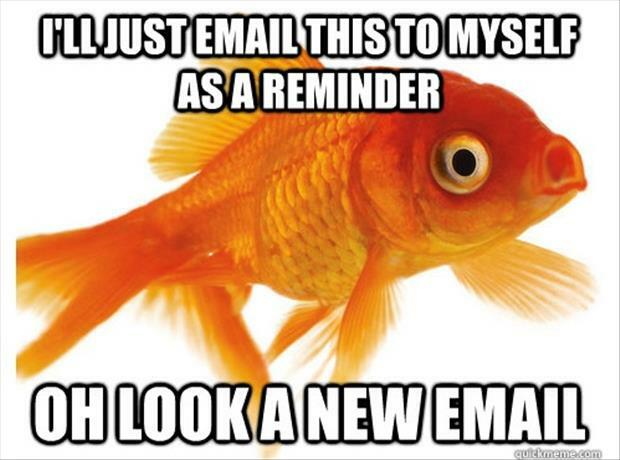 Either that, or you have the attention span and memory of a goldfish. Or a carp could be a good comparison, as in ‘To find fault in a disagreeable way; complain fretfully’. Seems infused’s main attribute. “That’s hardly the ‘tech’ industry. That’s companies like downers, dews etc laying cable. sure theres some confusion, but maybe clarify that statement a bit first? Downers and co don’t just wield shovels, they do everything including installing customer premises equipment. Chorus is just an admin layer. Chorus now employs 763 permanent and fixed term employees directly, along with a further 4,434 people who are either employed directly by our service company partners or are sub-contracted by the service companies. Downers et al. would be those service company partners. Downers themselves also use a fair amount of contracters. I wonder how much the layers upon layers of admin cost. The KPI hell that they now have? They’re on the job trying to fix a tricky problem probably left over sloppy work from years ago. Their cellphones are going off at about 5 minute intervals. So I ask why they’re so popular. Oh yeah – idiots creating work for themselves. Chorus and Contractor and ISP are all asking them how long until they will finish the job…. I swear that they spend as much time answering irritating dickheads on the other end of the phone as they do fixing the problem I called them out for. Despite this stupidity, at least one in three manage to do a good job. +1 and in Oz this is being exposed currently as the union etc are putting the sunlight onto this practice of do as many jobs as you can rather than do the job right as telstra claimed that copper has decades of life and got called on it, rightly so. Pictures of plastic bottles and bags on connections are now being shown as illustrations of what this practice over the years has created, a mess. Chorus knows this as it’s been forced to revisit the network to do UFB, it knew all along even during the bid. As a local example I recall a downer edi dude admitting they’ve no idea how the akl viaduct is wired up as documentation isn’t a billable activity, so none were done. Telco techs often go into basements and look for the wall scratchings that a prior tech hopefully left. Chorus is just a admin layer ticket clipper. Now, I happen to think that admin is important but not more important that the people who actually create the wealth and yet in our society ATM it’s the admin that get the high pay. As for the shareholders in both Chorus and Downers, well, they’re just bludgers that are getting money for no work done at all In fact, they’re taking it from the people who are working. Downers don’t really install customer premises equipment other than cable modems. They don’t do anything more than make sure the connection is good enough for the modem to communicate, often not even that. They aren’t any more technical than a wiring company. I was another subcontractor for a while, tasked with installing ADSL and VDSL modems, VOIP etc for Telco companies that Downers wouldn’t touch. I know for a fact that I was paid better than the Downer techs, and I wasn’t paid very well. what do you pay in premiums for income protection. Are you cover only for illness or death? 1 The Control Test : The control tests looks at the degree of control exercised by the “employer” (used in a generic sense) over the worker. The more control the “employer” has, the more it indicates an employment relationship. 3 The Fundamental Test : The fundamental test asks the question of “whether the contracted person has been effectively working on his or her own account.” Are they self-employed, or are they working for someone else?